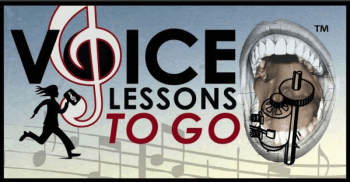 Learn new music now, while you have time. Years ago I was studying in the music library at USC when I began speaking to an older student of voice who was getting her Masters. Her biggest advice for me then was to LEARN NEW MUSIC NOW WHILE YOU HAVE TIME. I didn’t really think much of it then of course, I was 20 and had so much free time it never really struck a chord of importance. 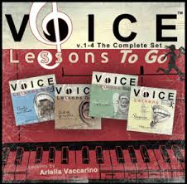 When I was in college studying voice I used to go the music library and just pick out scores and recordings, rent head phones and listen to other sopranos singing for hours. I was always looking for that next great audition piece or role. Today searching for music is much easier of course. Put on a singer you love, or song style on Pandora and you will get many options without having to search through the libraries. The search options and styles may have changed since then but her advice hasn’t. After I left college, my ability to find the time to leisurely search through the best music that would suit and show off my voice began to dwindle. I became busy; I was either hired to sing for someone learning their music, hitting the audition circuit with the repertoire I knew well, or just busy making money to survive. My free time became less and less as the years passed and my responsibilities grew. Luckily, as a voice teacher, I do get to hear new music now when my students bring things to me that they have to learn which I really enjoy. But other than that, it takes a real effort for me to learn new music since I am so involved with the music I am teaching and life that I am living. So, heed her advice. If you have time now in your life, study, seek out, and learn as much music as you can so when you are ready to be performing, you will have a lot of music learned and ready.